I love this collection of people. Each has his/her own visual charm. I captured the slouch of the far right character (on the second try). 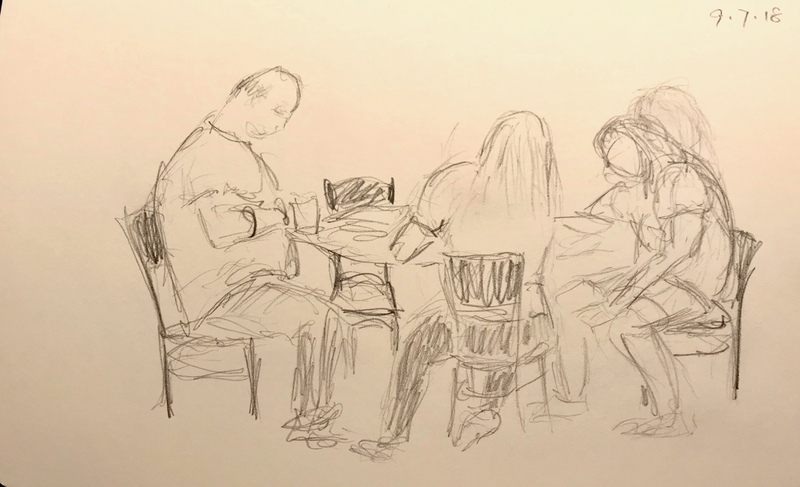 I used a soft pencil to sketch this group portrait. This allows my initial marks to be spontaneous as well as visible (without overworking them, as I must do with light pencil marks). This entry was posted in Personal Stories and tagged artistic process, artistic technique, creative process, drawing, family, family portrait, group portrait, pencil sketch, sketch, visual art. Bookmark the permalink.